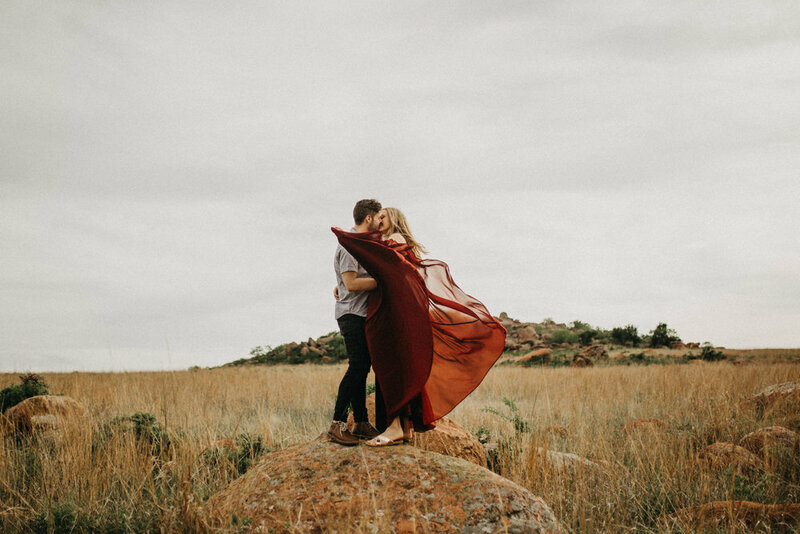 EMILY + BLAKE | WICHITA MOUNTAINS, OKLAHOMA | ENGAGEMENT SESSION | OKLAHOMA WEDDING PHOTOGRAPHER — Payton Marie Photography | Oklahoma City and Destination Wedding Photographer | Weddings. Engagements. Worldwide. Settle in, because I have a lot of words and feelings and happy tears to convey in this post. HERE WE GO. When I was nine years old, Emily and I were introduced by a mutual friend (basically set up on a blind friend date haha) and we've been best friends ever since. Even through some really crappy situations, long distances and periods of time spent apart, and a heck of a lot of growing for each of us, she has remained the most loyal and steady of friends. 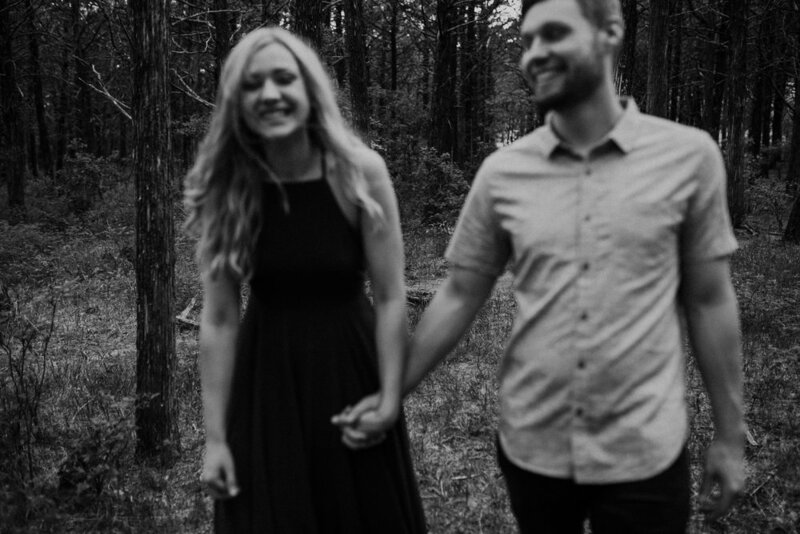 Some of my most favorite life memories are with this girl, whether it was running for our lives through a sketchy parking garage, or our annual Valentine's Day brunches together because #mandrought, or the countless coffee dates and Bible studies and time spent pouring out our hearts to each other. As cliche as it sounds, I truly don't know what I would do without her in my life. We often joke that we must be two different people living the same life because our life experiences pretty much always coincide. And so it happened that after both being single for a long time and not even looking for relationships, we both met and started dating our respective boyfriends at the exact same time. Over the past year, I've had the privilege of watching my best friend fall in love with someone who is so incredibly perfect for her. To see how Blake loves Emily so sweetly and openly is an overwhelming joy. 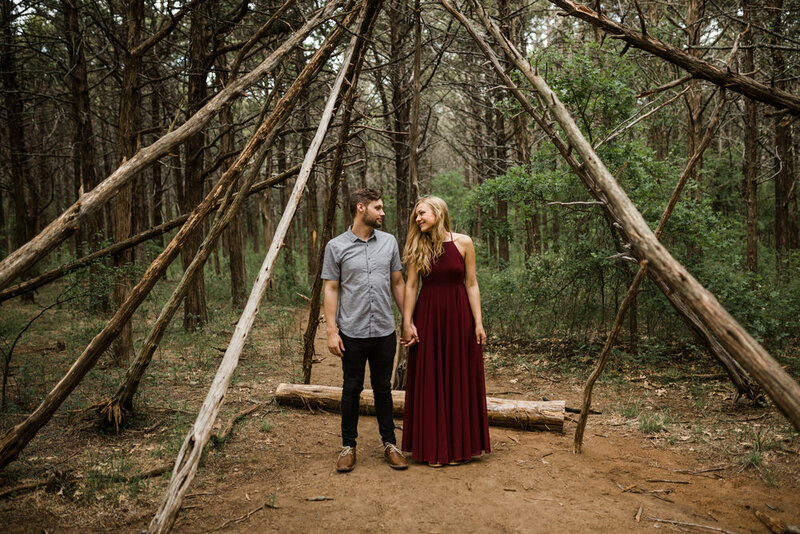 And in a mere sixteen days, I get to stand by her side and cry and celebrate as they say "I do" for life and begin their adventure together. 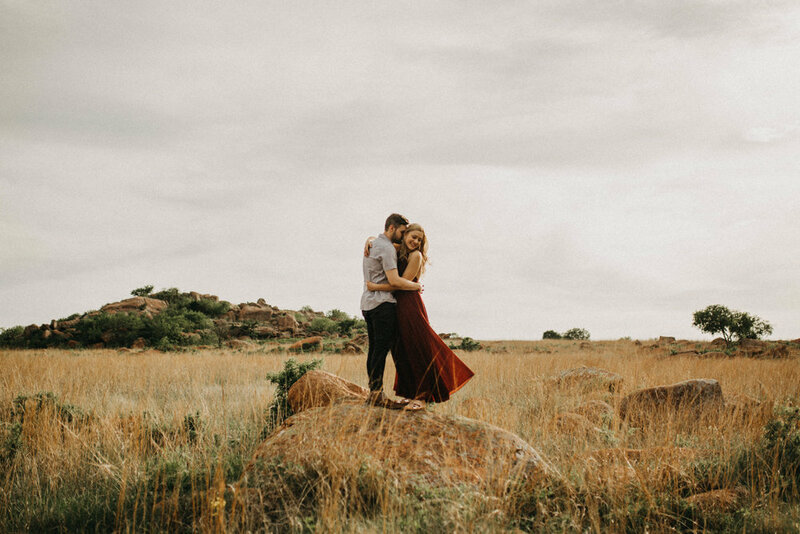 A couple weeks ago, we spent an evening shooting their engagement photos at the always-stunning Wichita Mountains Wildlife Refuge in Oklahoma. 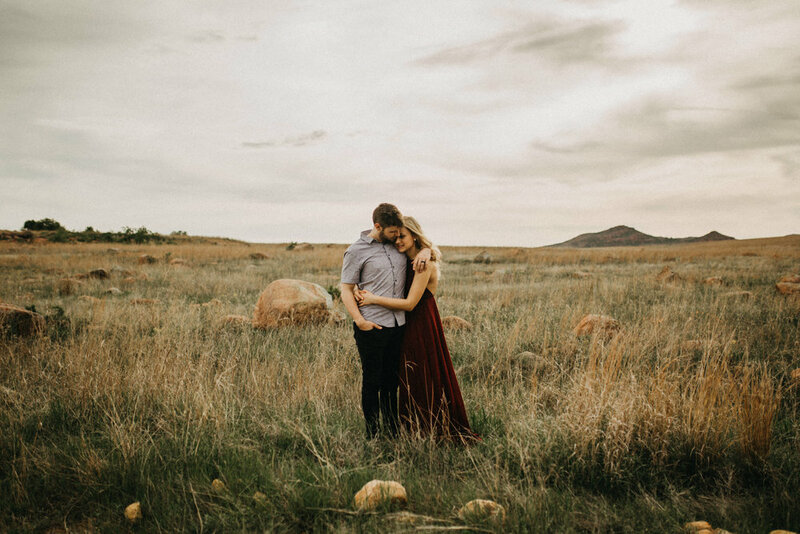 We rescheduled their shoot three times due to weather because I told Emily I was determined to get her the mountaintop sunset photos she wanted and deserved. 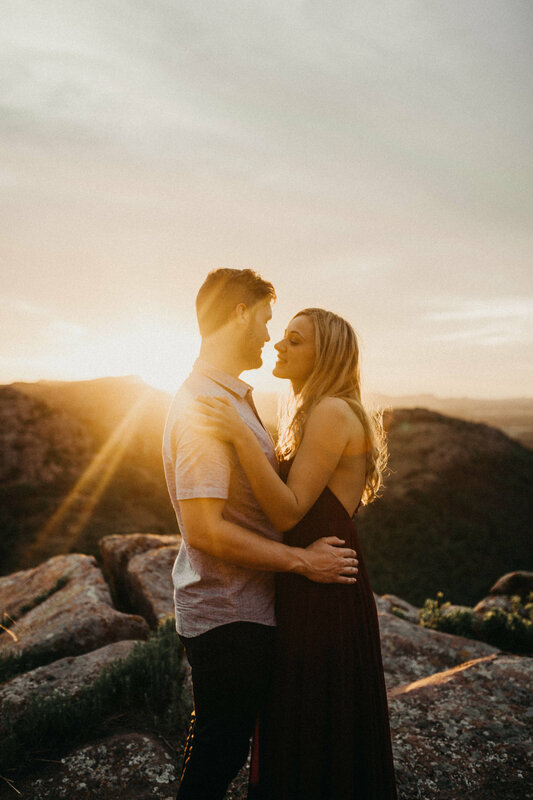 We were just wrapping up their session on top of Mount Scott, and though we had gotten dozens of amazing photos, I was a little bummed that the sun had mostly stayed behind some clouds. But as we were driving down the mountain, lo and behold that glorious Oklahoma sunlight finally peeked out from over the mountains. We found the nearest pull-off and jumped out of the car to catch those last few rays. 1000% WORTH IT. I love these two so much. LET'S GET YOU MARRIED.